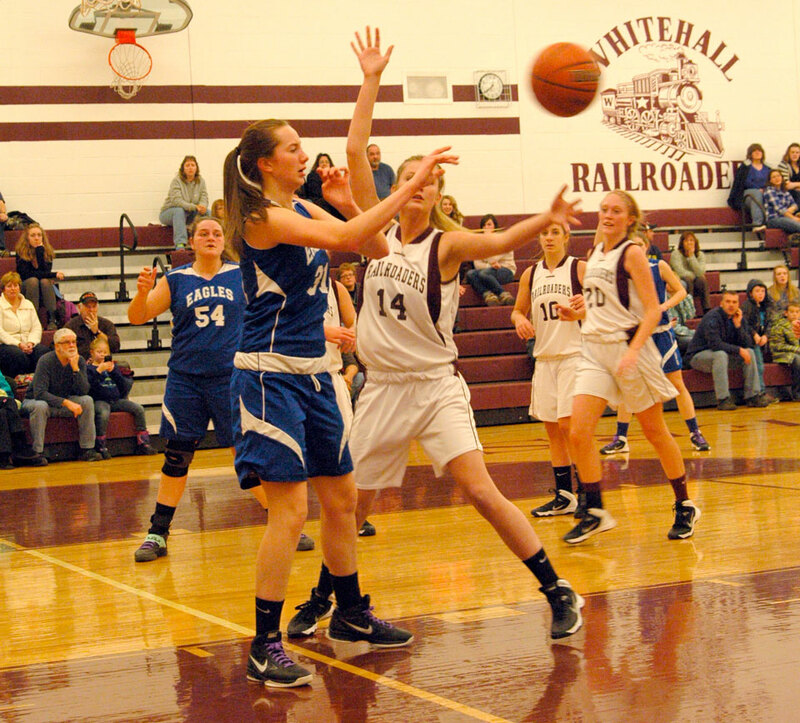 A dominant first quarter against Hadley Luzerne sparked Whitehall to its second win of the season. The Railroaders outscored the Eagles 15-6 in the first quarter en route to a 38-30 win last Tuesday. Sam Baldwin had a strong game on both ends of the floor, leading the team with 16 points and recording a game high 10 steals. Ashley Davis scored eight points, including two 3-pointers, and Kelsey Farley had seven points to go along with eight rebounds. Whitehall opened the game in a full court press and was able to force the Eagles into a number of turnovers in the first quarter. 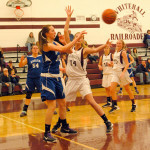 Although its offense slowed down in the second quarter, Whitehall limited Hadley Luzerne to six points in each of the first two quarters and went into the half ahead 24-12. The Eagles, fought back, however, and were within six points of taking the lead late in the fourth quarter before Baldwin recorded a pair of steals, which she turned into four points to secure the victory for Whitehall. As a team, Whitehall was 11 for 55 from the field and seven of 18 from the free throw line. On Friday, Whitehall traveled to North Warren, where they were beaten by the Cougars 45-36. The Railroaders went into the half trailing by only two points but were outscored 26 to 19 in the final two quarters as lost for the seventh time this season. Davis scored a game high 13 points and Farley scored 11 points. Ellie Underwood and Taylor Feldeisen each scored 12 points for North Warren and Morgan Yarosh reached double digits points with 11. The Railroaders were held to only seven points in the first quarter, but outscored North Warren 10-8 in the second quarter. Farley scored 10 of Whitehall’s 17 points in the first quarter. The Cougars scored a game high 15 points in the third quarter and played just enough defense to hold on for the win. Whitehall is now 2-6 on the season. The Railroaders will host Warrensburg Friday night.